Dickens's novels combine brutality with fairy-tale fantasy; sharp, realistic, concrete detail with romance, farce, and melodrama. ; the ordinary with the strange. They range through the comic, tender, dramatic, sentimental, grotesque, melodramatic, horrible, eccentric, mysterious, violent, romantic, and morally earnest. Though Dickens was aware of what his readers wanted and was determined to make as much money as he could with his writing, he believed novels had a moral purpose–to arouse innate moral sentiments and to encourage virtuous behavior in readers. It was his moral purpose that led the London Times to call Dickens "the greatest instructor of the Nineteenth Century" in his obituary. Success came early to Dickens; he was twenty-five when his first novel, Pickwick Papers, appeared and made him one of the foremost writers of his day. It is an exuberantly comic novel with almost no shadows, and readers expected all of his novels to follow this pattern. His next two novels, Oliver Twist and Nicholas Nickelby, fit readers' expectations well enough, and they overlooked the social problems he exposed. As he aged, Dickens's view of his society and human nature grew increasingly somber, a fact which disturbed many readers and critics. A Tale of Two Cities was attacked for having little, if any humor. You will not have to complain of the want of humour as in The Tale of Two Cities. I have made the opening, I hope, in its general effect exceedingly droll. I have put a child and a good-natured foolish man, in relations that seem to me very funny. Of course I have got in the pivot on which the story will turn too–and which indeed, as you will remember, was the grotesque tragi-comic conception that first encouraged me. To be quite sure that I had fallen into no unconscious repetitions, I read David Copperfield again the other day, and was affected by it to a degree you would hardly believe. Not much of Dickens will live, because it has so little correspondence to life. He was the incarnation of cockneydom, a caricaturist who aped the moralist; he should have kept to short stories. If his novels are read at all in the future, people will wonder what we saw in them. Though Dickens's novels continued to be read by large numbers of readers, his literary reputation was in eclipse. There was a tendency to see his novels as appropriate for children and young adults. From 1880 through the early part of the twentieth century, Russian writers came into vogue and were generally regarded as superior to Dickens. This preference is ironic because the Russian novelists both admired Dickens and learned from him. 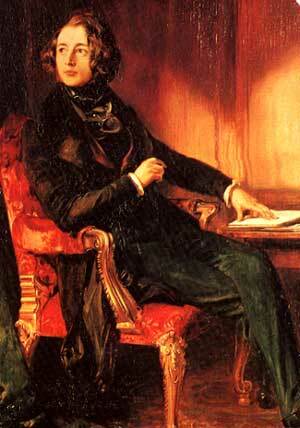 Turgenev praised Dickens's work and even wrote for Dickens's magazine, Household Words, during the Crimean War. Tolstoi wrote of Dickens, "All his characters are my personal friends–I am constantly comparing them with living persons, and living persons with them, and what a spirit there was in all he wrote." Dostoevsky was so impressed that he imitated the death of Little Nell, including the sentimentality, in describing the death of Nelli Valkovsky in The Insulted and the Injured (1862). Supposedly, during his exile in Siberia, he read only Pickwick Papers and David Copperfield. Even if this story is apocryphal, Dickens' influence on Uncle's Dream and The Friend of the Family (1859), written while Dostoevsky was in Siberia, is unmistakable. In yet another irony, English critics in the 1880s were puzzled by Dostoevsky's similarities to Dickens. Dickens' literary standing was transformed in the 1940s and 1950s because of essays written by George Orwell and Edmund Wilson, who called him "the greatest writer of his time," and a full-length study by Humphrey House, The Dickens World. Critics discovered complexity, darkness, and even bitterness in his novels, and by the 1960s some critics felt that, like Shakespeare, Dickens could not be classified into existing literary categories. This view of Dickens as incomparable continues through the twentieth century. Edgar Johnson expresses the prevailing twentieth-century view in his assessment of Dickens: "Far more than a great entertainer, a great comic writer, he looks into the abyss. He is one of the great poets of the novel, a genius of his art." This is not to say that every critic or reader accepts Johnson's view; F.R. Leavis could not take Dickens so seriously: "The adult mind doesn't as a rule find in Dickens a challenge to an unusual and sustained seriousness." In the resurgence of Dickens's reputation, his essays, sketches, and articles have received attention and praise. K.J. Fielding believes, "If he were not so well known as a novelist, he might have been recognized as a great English essayist." The large portrait (above) of Dickens was painted when he was twenty-seven years old. I chose it to counteract the image we have of writers and other famous men as middleaged or old. Dickens, by his middle age, was so care-worn with deeply etched lines in his face that he looks at least ten years older; he is only fifty in the portrait on the left. The young Dickens was very good-looking and often described as pretty or delicate; he was something of a fop with his flashy waistcoats, jewelry, and flowing long hair. A thorough presentation by the Victorian Web. Materials on his biography, discussion of contempary background, e.g., political history, social history, religion. E-text of Great Expectations and an overview. Look particularly at the section on "The Economic Context of Dickens's Great Expectations" and "The Evolution of Victorian Capitalism and Great Expectations." An informative site, with a biography, discussion of the novels and characters, illustrations, Dickens London, Dickens London Map, Dickens & Christmas, etc. A Q&A with a Dickens expert. Unfortunately, it seems to acquire more ads every semester. E-texts of the novels, short stories, and articles as well as a few letters. Listservs about Dickens. 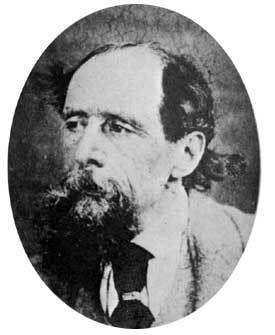 The Dickens Project promotes the study and enjoyment of Dickens's life, times, and work. It lists conferences, publications, and Dickens fellowships. Life of Dickens, links to Dickens sites, and Dickens archive. 1861 review of the novel in The Atlantic Monthly. This portrait will give you a sense of what the prison hulks (unseaworthy ships) were like. Chapter on Great Expectations. Forster, a close friend of Dickens, wrote this biography after his death. Unfortunately the formatting is unattractive and the text is hard to read, I think. A picture of Newgate and Newgate Gate and a very brief history of this prison.